How many degrees are in an internal angle of a regular heptagon? 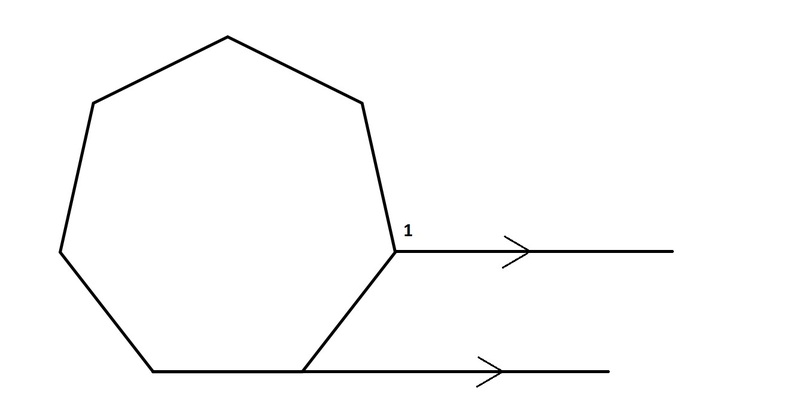 What is the measure of an interior angle of a regular nonagon? Refer to the above diagram. Pentagon is regular. What is the measure of ? Note that angles have been newly numbered. and are exterior angles of a (five-sided) regular pentagon in relation to two parallel lines, so each has a measure of . 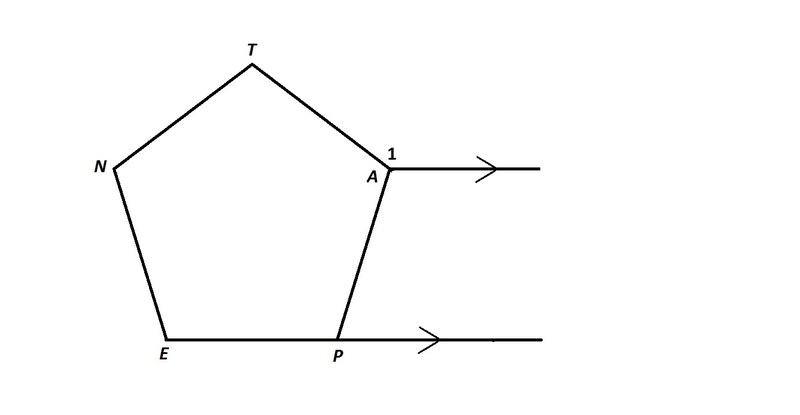 is a corresponding angle to , so its measure is also . In the above figure, the seven-side polygon, or heptagon, shown is regular. What is the measure of ? The correct answer is not given among the other responses. Note that two angles have been newly labeled. and are exterior angles of a (seven-sided) regular heptagon, so each has a measure of . 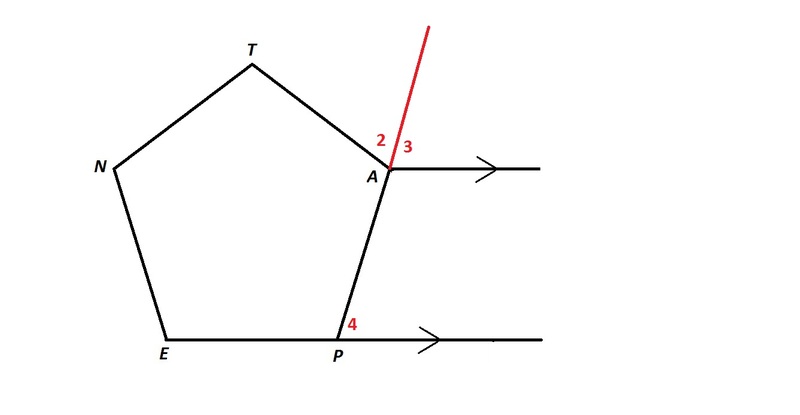 is a corresponding angle to in relation to two parallel lines, so its measure is also . In the above figure, Pentagon is regular. Give the measure of . which is therefore the measure of . which is therefore the measure of both and . 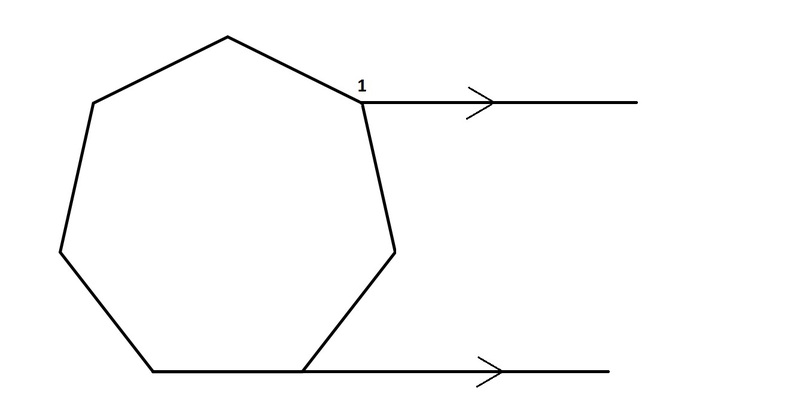 The measures of the angles of an octagon form an arithmetic sequence. The greatest of the eight degree measures is . What is the least of the eight degree measures? 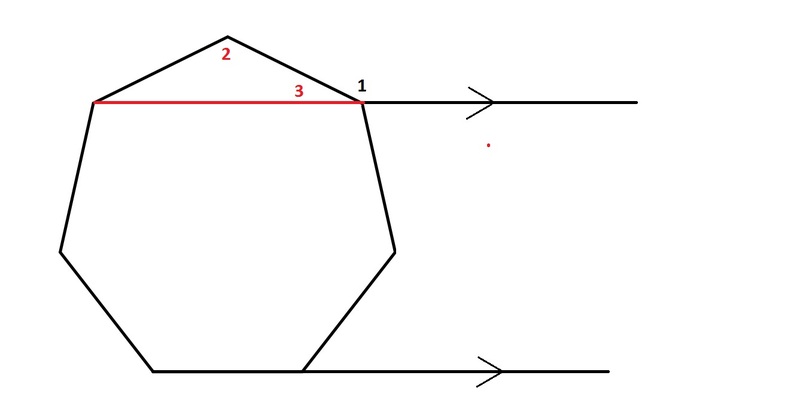 What is of the total number of degrees in a 9-sided polygon? 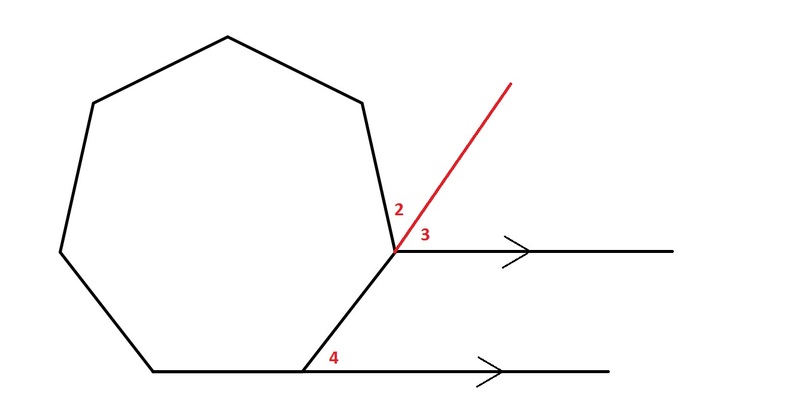 The sum of the angles in a polygon can be found using the equation below, in which t is equal to the total sum of the angles, and n is equal to the number of sides. 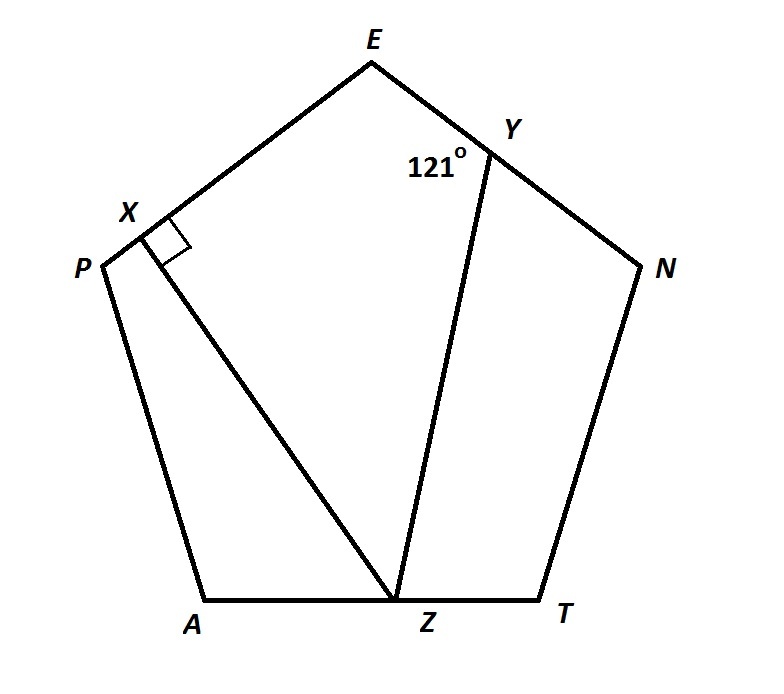 Therefore, of the total sum of degrees in a 9 sided polygon would be equal to 180 degrees. The measures of the angles of a nine-sided polygon, or nonagon, form an arithmetic sequence. The least of the nine degree measures is . What is the greatest of the nine degree measures? Duquesne University, Current Undergrad Student, Elementary School Teaching.